Open new doors to bigger possibilities in a manufacturing career. Today, CNC Machines are used to manufacture products from scratch with the use of a computer. CNC Machines create products used everyday such as watches, car parts, tools, bottle openers, weapons and so much more. CNC Machining is a skill that is used in multiple industries, giving you multiple opportunities to find a state of the art career. Thomas Nelson has partnered with an area manufacturing company to provide CNC Machining training to the Virginia Peninsula. Get quality and affordable training in a real work environment. 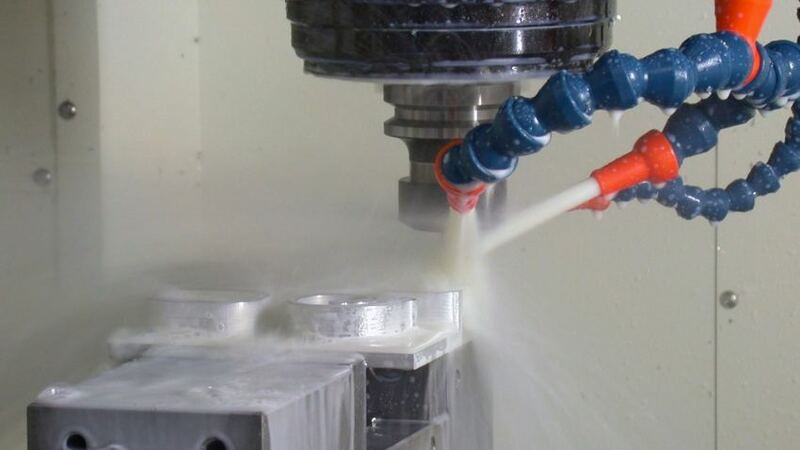 CNC Machining training will teach you how to use precision instruments to check your work, interpret modern engineering drawings, find and correct program troubles, quickly and accurately set up machines and how to use Computer Aided Manufacturing (CAM) software. Upon completion of the certificate, you will be prepared to attain technical positions as conventional machinist, machine operator, and basic CNC programmer/operator. Job placement assistance is available to help you find a position with leading manufacturers in the area.